Beautiful! Mine are all blooming! Beautiful. Orchids are so sculptural and delicate. They are. And in flower for so long. Tack! Säsong för dem nu! 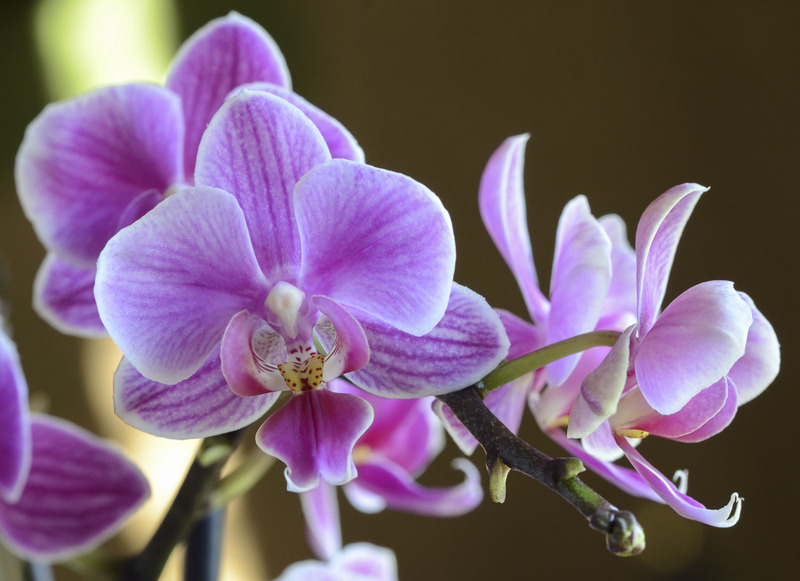 I always think Orchids look more like animals than flowers, very beautiful animals. Love this photo Leya. Thank you, Gavin! Most of my orchids are in flower right now. This one is a very tiny one – but abundant flowers. So pretty. We’re surrounded by beauty today as well, but it couldn’t be more different: nature encased in ice. 🙂 With today’s sun, it’s stunning. It is their season now here! Thank you!